Welcome to the website of the Embassy of Bosnia and Herzegovina in Beijing. Here you will get different information, that, we hope, will satisfy your interest. 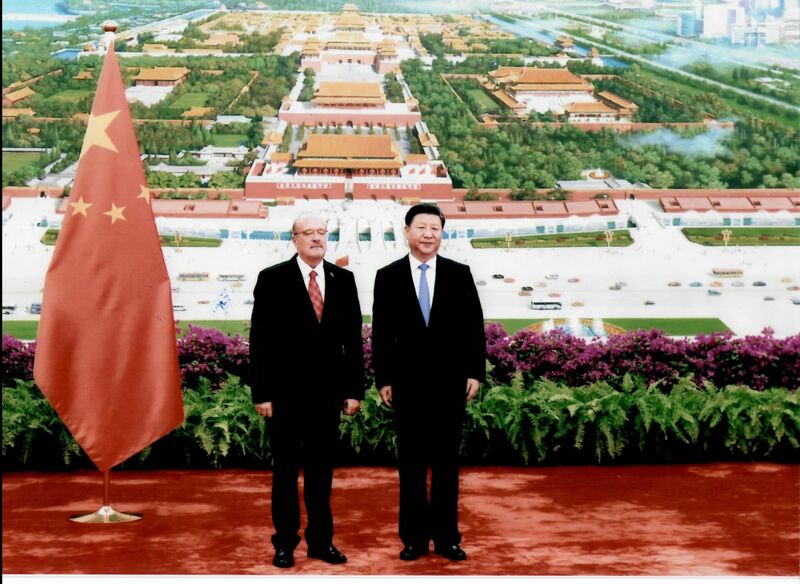 Let me remind you in the beginning that China-Bosnia and Herzegovina relations have been long lasting, even from period of former Yugoslavia, where Bosnia and Herzegovina was central republic. From that period we, people from both countries, have developed very friendly, worm feeling to each other. And me and my colleagues in the Embassy enjoy that privilege everywhere. Bosnia and Herzegovina is place o Valter. The movie” Valter defends Sarajevo” is one of the most watched movie in the history, and definitely the most seen foreign movie in China ever. As many people in China know the movie story is about defending Sarajevo, capital of Bosnia Herzegovina during Second World War. Unique city of Sarajevo, being in its long history known as a multiethnic and multi religious place, is very often called European Jerusalem. This long tradition of ethnic diversity, but harmonious life is visible everywhere in Bosnia and Herzegovina and we consider that as our most important asset. Bosnia And Herzegovina is a country of clean rivers, mountains, historic monuments, and our hospitality is considered to be one of the best in the world. Bosnia and Herzegovina, more concretely, its capital Sarajevo was organizer of 14th Winter Olympic Games that were considered the best organized till that time. Now, we are especially delighted that Beijing is organizer of the Games in 2020. This is to us an additional responsibility and motivation to make, between two Olympic cities, even closer connections. Fruitful and intensive bilateral cooperation between Bosnia and Herzegovina and China brings its results in different fields. There are many cultural projects taking place and tourism exchange between two countries is growing. Recent establishment of visa free regime between two countries gives strong incentives for much more tourism visits. Chinese business is more and more present in Bosnia and Herzegovina, especially in energy sector, infrastructure building etc.., However, we want to encourage more potential investors to come to Bosnia and Herzegovina, to enjoy incentives given by our government and other advantages that are at the disposal. We are very active participant of “Belt and road” project. Especially, we see “ 16+1 initiative” as an excellent instrument for participants to realize different project of common interest, and , also, those once of specific interest of the countries involved. Dear visitors, continued interaction with you through this website is very important for us. Please do not hesitate to contact us.